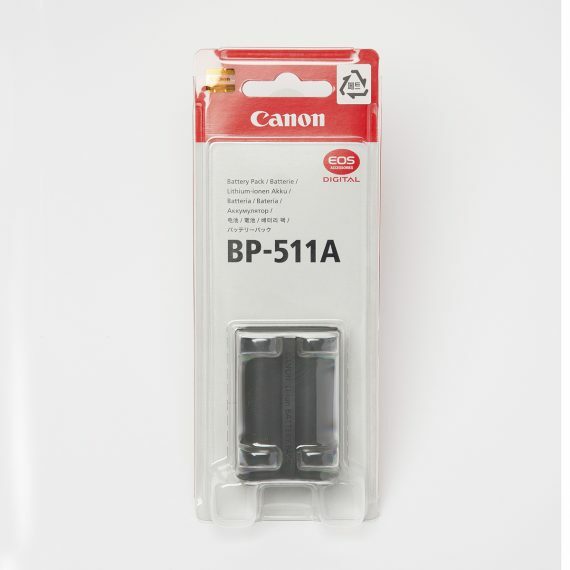 Canon BP-511A Battery | Beau Photo Supplies Inc.
High Capacity, rechargeable Lithium-Ion battery. When used with camcorders, the BP-511 gives you a maximum recording time of 2 1/2 hours using the viewfinder, or 2 hours using the LCD screen. When used with the EOS D-series cameras, the battery is capable of approximately 300 shots on a single charge.